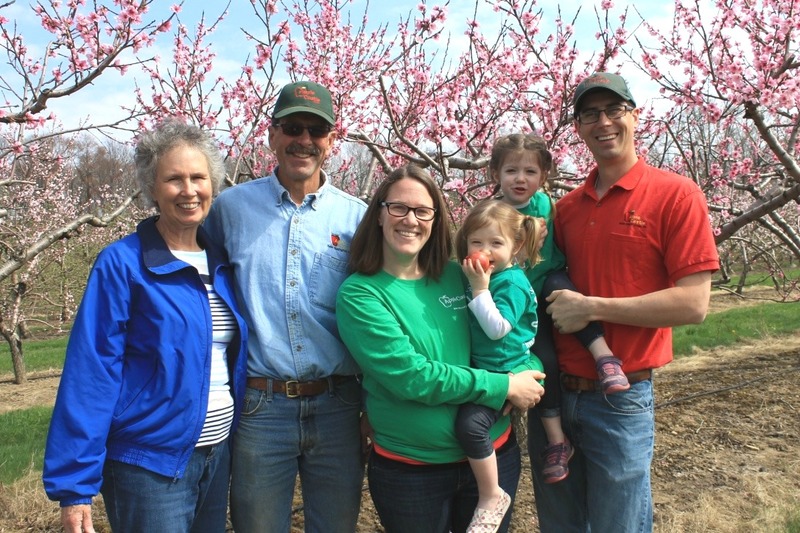 NEW WILMINGTON, Pa. — In 2011, Steve and Ashley Johnston returned to the family orchard as the sixth generation, bringing new energy and ideas. 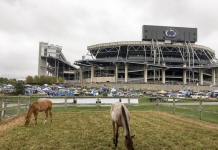 Both graduates of Penn State, they were working other jobs when they decided it was time to come home. Apple Castle orchard, in Lawrence County, has been in Steve’s family for more than 150 years, with the original land purchased by Josiah Smith Johnston in 1861. 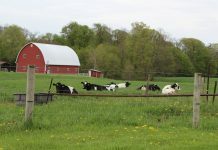 The early farm included both an orchard and dairy cows, and a homestead the Johnstons still occupy. Four generations later, Ralph Johnston and his wife, Ruth, decided to focus solely on fruit production. The dairy cows were sold, and Apple Castle’s first formal market opened in 1950. Today, Ralph’s son, Lyle, and grandson Steve run the farm and orchard and year-round market, growing around 50 varieties of apples, along with peaches, nectarines, blueberries, raspberries, sweet corn, plums, cherries, asparagus, rhubarb, winter squash and pumpkins. Apple orchards continue to become more dense as technology advances. Apple Castle went from having 27 trees per acre 50 years ago to 108 in their newest plantings. Ashley credits their success to Ralph and Lyle’s commitment to the community. They have served on the local school board, and have been active in the Rotary club and various church committees. Steve is keeping up the family tradition now as the vice president of the Lawrence County Tourist Promotion Agency. Along with fresh produce, the Johnstons serve and sell cider and homemade doughnuts. “A couple years ago, we added doughnuts to our store and have seen a big boom since then,” said Lyle. The doughnuts are made each day from their own apples, apple cider and other farm ingredients. They have a lot of repeat customers, who now think of the doughnuts as a “must-have” while in the area, Ashley said. In addition to the new items inside the market, they are doing things differently in the orchards as well. Over time, the best practices in orchard production changed and so has the Johnstons’ management, said Lyle. 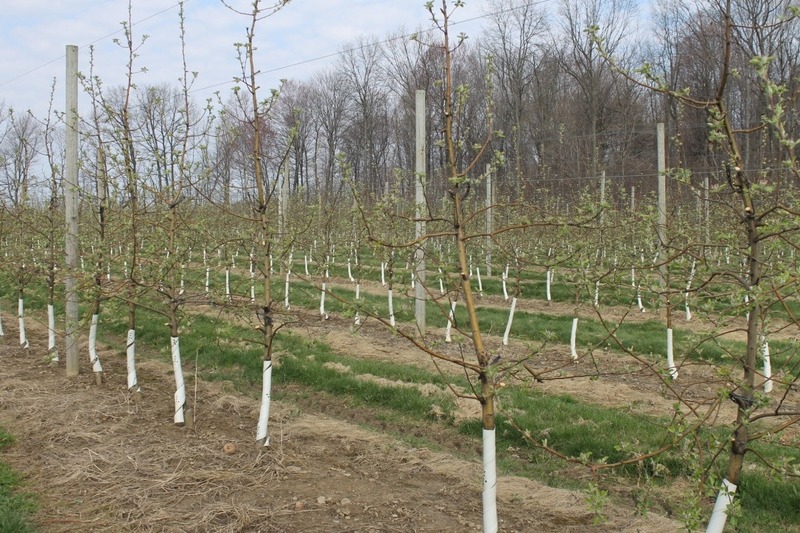 When original orchards were planted, the trees were spaced 40 feet apart and each row of trees was 40 feet apart. Twenty years ago, the best practice was to plant the trees 10 feet apart, then 6 feet. Now, with the new plantings, the trees are spaced 3 feet apart and there is 15 feet between rows. “With the new planting standards, we get higher quality apples and higher yields,” Lyle said. They used to have 27 trees per acre, now they plan for 108. November-July 7:30 a.m.- 5:30 p.m. Planting the trees closer allows for more area of production. In the old growth trees, many had three or four feet on the branches before you got to a leafing and flowering stem, Lyle said. With the trees planted closer together and wired to trellises, nearly all of the tree is producing. “Each tree is made up of two rootstocks, allowing two varieties to grow on one tree,” added Steve, who travels to industry events to keep up on best practices. The experiences and skills in orchard management, finance and enthusiasm Steve and Ashley Johnston brought back to the farm have given the Castle new life, said Lyle. Steve went to Penn State and majored in agricultural business. After graduation, he worked for Brown Orchards, in Loganville, Pennsylvania, learning for three years before moving back home. During that time, Ashley, who also graduated from Penn State in finance, worked for The Vanguard Group, an investment management company based in Malvern, Pennsylvania. At the farm, you will often see Steve, Ashley and their two girls, Abby and Sadie, on the ATV checking the four acres of peaches and nectarines, 15 acres of blueberries and 18 acres of apples. About 80-90 percent of the apples are sold on the farm, and the farm also supplies a few other farm markets and local schools. “We also work with the Greater Pittsburgh Community Foodbank, if we predict we will have surplus,” Steve said. The orchards’ harvest is labor intensive, and they usually have two to seven local employees picking in the orchard at any given time. Another labor-intensive job on the orchard is pruning. The family works to capitalize on direct sales. 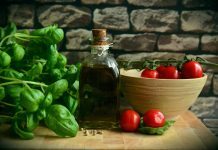 When discussing profit margins, Lyle attributes their abilities to bring in a profit to direct sales and their diversified offerings — from apples, peaches, baked goods, and many local jams, salsa and honey. “Apple processing has the same struggles as the majority of the agricultural commodities, but selling directly to the customer allows us to set our own prices,” Lyle said. 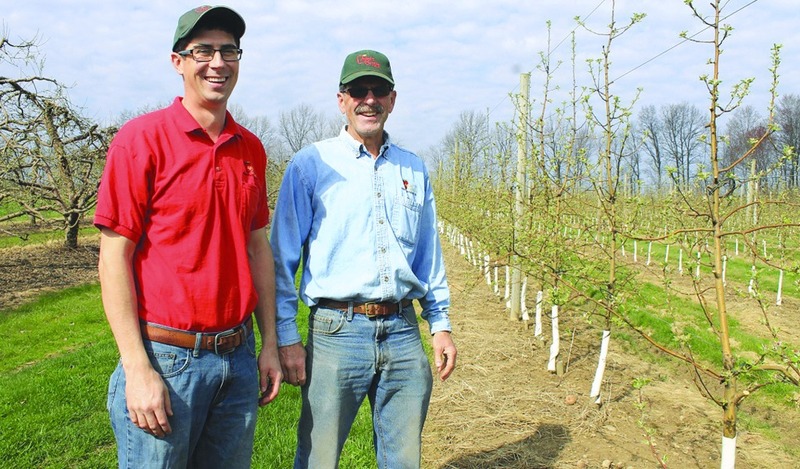 Many basic elements of orchard care have stayed the same over the years, but the family has tried to find new ways to attract customers. 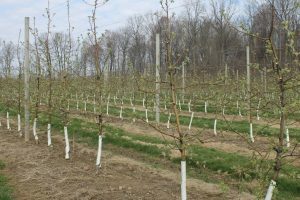 Last year, they planted a pick-your-own plot with different apple varieties in each row, starting a new adventure in “pick your own.” They hope the trees will start to produce in the second and third year, but it could take up to five to get a steady yield. “That’s one of the differences in our generations — the idea of picking your own produce in Lyle’s generation asks the question, ‘If I have to pick them myself, I should get a discount.’ In today’s generation, people are willing to pay for the experience,” Ashley said. Grocery stores try to mimic a farmers market, but they don’t have one important element — the trees, said Steve, talking about their plans to provide experiences. Honeycrisp is the orchard’s most popular variety; customers want the hard juicy apples. Baking apples are no longer as popular, he said. “Agritainment isn’t our focus, but we are trying to develop relationships with the next generation of families,” Ashley said. To do so they started a program Read, Learn, Grow. They invite 4- and 5-year-old children to the farm, with a guardian, read them a story about an orchard or seasonal aspects of the farm, play a game, give them a hayride and an opportunity to pick something that is in season. They take participants around the farm in groups of 20, giving the children and adults a personal experience. Participants can sign up online. 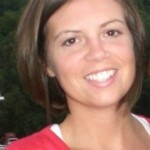 Steve and Ashley’s involvement has brought the business online, meeting their customers where they are. They make sure the website is updated, post on social media sites and provide and online newsletter. Customers can follow what is going on at the farm on its Facebook page, Ashley said, adding Facebook has replaced both billboard and newspaper advertising for Apple Castle. Their next expansion will be to build a pavilion to host the educational activities and give customers a place to sit outside. They have also verbally committed to one another that they will expand the store. “We don’t know when or exactly what we are going to do, but we’ve all agreed it needs to be done,” Steve said. Sandy, Lyle, Ashley, Sadie, Abby and Steve Johnston, the fifth, sixth and seventh generations to manage orchards in New Wilmington, Pennsylvania. In 2011, Abby and Steve returned to the farm, bringing new energy and ideas.